Statue of Mary located in Aikenhead Memorial Garde. 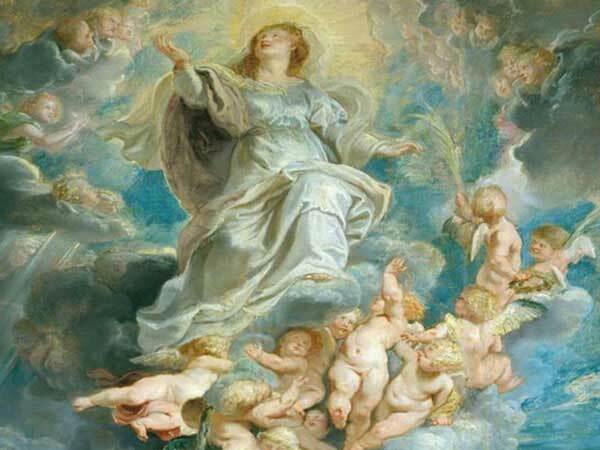 Assumption of Mary for the year 2021 is celebrated/ observed on Sunday, August 15th. Sunday, August 15th is the 226 day of the 2021 calendar year with 2 years, 3 months, 26 days until Assumption of Mary 2021. When is Assumption of Mary 2019? When is Assumption of Mary 2020? When is Assumption of Mary 2021? When is Assumption of Mary 2022?